Diet Isn’t Always a Dirty Word! How many times have you heard the word “diet” today? Maybe you saw it on TV, perhaps on the covers of the magazines on the coffee table, or on food packaging. How many of your friends and family have talked about “going on a diet” after Christmas? I don’t think a day goes by where I don’t either hear or read this word at least 5 times. We are constantly bombarded with subtle (and often not so subtle) messages telling us we need to “go on a diet”. And that has made “going on a diet” my pet peeve of the month! To me, the word “diet” is not a dirty word. It is something I have come to understand as a way to explain my style of everyday eating. But for many people this is not the case. They see “diet” as a word to fear. What does “going on a diet” mean to most people? Why do we need to go on a diet and what does this do? I am going to answer these questions from a naturopathic understanding, and hopefully shed a little light on the differences between societies’ general understanding of “diet”, and my own. What does “going on a diet” mean? For the majority of people, these four words can translate to four other word: “NOT EATING ANYTHING YUM”. It means cutting out all the “yummy” foods and trying to live off “boring health food”. It immediately conjures up the notion of restriction, starvation, and deprivation. The phrasing also suggests that if you are going on it, there will be a time when you go off it! This means we look at diets as transitory periods of deprivation in our normal life. We need to change the general understanding of the word diet. A diet consists of the food a person or animal regularly consumes. In this understanding it is possible to change your diet, but not possible to go on a diet! By reframing it this way, the negative connotations of the word are lost, and with it, thoughts of starvation and deprivation. Try this out by saying these sentences to yourself at seeing how you feel and what thoughts arise from each. You might be surprised! For the time being, let’s just remember the negative meaning of diet as we continue looking at the next question. Why do we need to “go on a diet” and what does this do? Often the number one reason people want to go on a diet is to lose weight. The style of eating they have followed has caused weight gain, and they feel going on a diet will help them lose weight. What many people don’t realise is that with any diet, (be it shakes, meal replacements, high protein, low carbohydrate, apples only and so on…) once you finish the diet and go back to eating “normally” the weight will more than likely return, with interest! This is because there has been no real change. The way of eating which has caused the weight gain has only been momentarily halted, and a period of famine occurred. Now it would be perfectly fine to continually follow these two cycles of feast and famine to help balance weight if our body was more like a machine. Unfortunately, the more we starve our bodies, the more we are likely to pile on the weight when next given the opportunity. This feast-famine cycle results in less weight loss during the diet phase and more weight gained during a normal eating phase, leaving us with steadily increasing weight no matter what diets we try. Understanding diet as a normal way of eating makes this question moot. As mentioned above, we may need to make changes to our diet occasionally, but this means changing the way we eat daily, removing ourselves completely from the negatively geared feast-famine cycle. Have as much fresh raw fruit and vegetables in your diet as possible (2-4 times a day), make it a sizable component of every meal. Limit packet, processed and dead food – have as little as possible. See how you feel avoiding the 4 most common allergens for 6 weeks- dairy, wheat, peanuts, and soy. Avoid any food product with the word “diet” on it! Following the recommendation above will have you well on the way to finding the right diet for your body, and never having to go on a diet ever again! 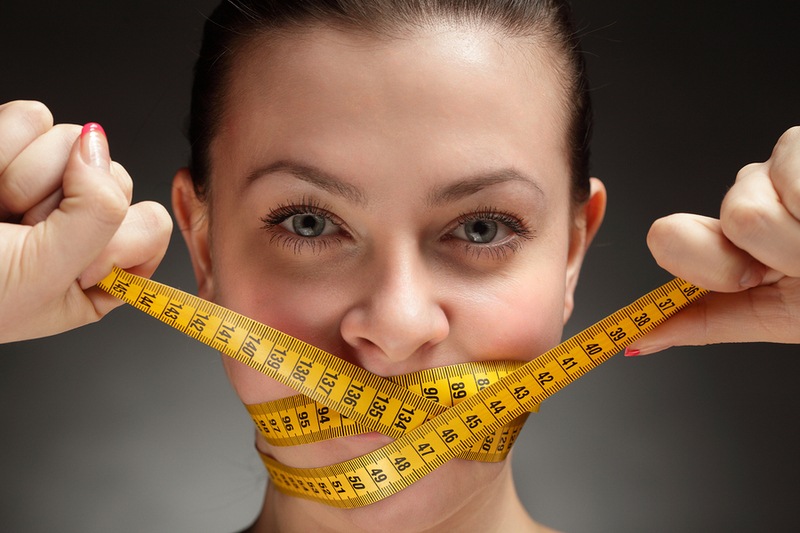 How many “diets” have you been on in your lifetime? What does the word “diet” mean to you? Can you see the difference between “going on a diet” and “changing your diet”? Don’t let diet be a dirty word in your life! Great article Rhianna. I liked the list of solutions at the end. One question. I have just finished the book called ‘Clean’ and in it he says that during the Clean detox program it is ok to eat some organic meats, but to avoid tempeh. Is this because as you said above, people may have allergies to soy products? With regards to the tempeh, you could be right. Soy is one of the most common allergenic foods so maybe that’s why the book says to avoid it. The other possibility is that soy products contain phyto oestrogens; plant oestrogens. It may be that the book suggests avoiding tempeh during a detox to avoid those oestrogens and keep the diet really “clean”. I can’t think of any other reason Carl. I love tempeh, the fermentation really improves its digestibility. And it is much less allergenic than some other soy products such as soy cheese or cream! Thanks for the comment Carl, hope Bali is beautiful! Thanks so much for the feedback Jo. Previous post: New Year Resolutions, or Real Life? Next post: Healthy, Hot & Energized!